Bert – $0 – Yet another $0 month here for me. While I always check Ebates before purchasing things online or booking travel for work, I compare the cash back rewards on Ebates to Swagbucks to see which offers the better rate. Obviously then, I pick the better rate. Lately, this has been on Swagbucks. Further, the decrease in Ebates earnings is due to the fact I have done less online shopping, which is never a bad thing! Lanny – > 3,870 Swagbucks or $38.70 – Three months back over $20 and back over the $30 mark! Further, Bert and I had some pretty intense streaks of hitting their goal on consecutive days. This may have been the highest month ever for me. The way I was able to monitor the total amount earned was take my end of previous month lifetime amount and subtract out my lifetime amount at end of month (found in the activity section of your account). June’s goal is to cross $35, and I am damned determined to get there. Bert – > 4,332 Swagbucks or $43.32 – This was my second highest earning Swagbuck month ever and I fell just 106 Swagbucks short of a personal record. 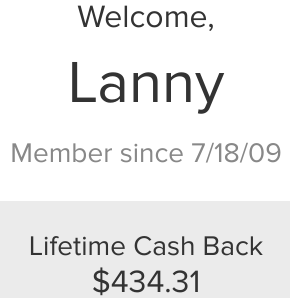 This month, I was aided by the long consecutive Swagbuck Daily Goal streak that Lanny mentioned above and receiving some nice credits for cash back for travel. I think I’ve finally found my groove/the best method for earning Swagbucks each day, so I’m hoping to continue posting strong months going forward. Also, this was a rarity. I actually beat Lanny this month…barely. But I will quickly tell you that I had more time than he did based on his travel for work, so I’m not holding my breath here. Ibotta – Ibotta is one of our favorite apps because it is so easy to use and barely adds any time to your routine shopping experience. It is so easy to earn money that they even give you $5.00 just to sign up! The app allows you to earn cash back from nearly every grocery store and many of online retailers. Before shopping, you scan the available rebates on thee app and see which items you are planning on buying. Some example of rebates that may be available any given week are $.75 for a protein bar, $1-$2 off of cereal, $.25 off of generic purchases (any brand of milk, cereal, etc. ), $1.00 for purchasing a certain type of coffee, or $2-$3 back for purchasing beer or wine! And finally, $1 cash back per Uber ride (for a limited time)! 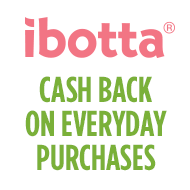 The app is very easy to use and Ibotta makes it easy to redeem cash as well and the process takes less than a minute after you complete your purchase. You simply scan the receipt, select the rebates that were purchased during that shopping trip, and then receive the credit within 24 hours. If you would like to try the app, we included a referral link in the banner below our monthly summary and at the beginning of the paragraph. Lanny – $1.50 – This is $0.25 higher than last month, but sadly I am stinking in this category. In total, I’ve earned over almost $200.00 in cash back from the app. However, I highly URGE you to sign up. Yes, sadly we do get a referral kick back, but this is by far the EASIEST way to get cash back. Further, the beer, wine categories make it fairly simply to rack up (usually $1.00 – $3.00 for a 6-pack and/or bottle of wine, eh, I’m Italian and Irish). Additionally – supplements like vitamins are a bigger cash back piece as well. Bert – $3.50 – Another “Okay” month here for Ibotta. I purchased a few different kinds of beer this month and I was able to earn a $2 and $1 rebates on both six-packs. I was able to earn a few small rebates as well, so it was a nice treat. Like Lanny said, we both love the app and we would suggest that you give it a shot to see if it can reduce your weekly grocery bill! Lanny – $0.00 – I have sold nothing, again, for the Sixth consecutive month. I had over 12 things on eBay that never sold. This may be time to donate, at this point. Further, one should see 5 benefits of getting rid of “stuff”, I know I own too much crap in my life that is consuming space, time and resources. In the end, the idea is that the items sold or donated will add value to someone else’s life, as that’s the purpose of owning something, to add value. Bert – $0.50 – Sadly, I was not able to sell any household goods this month. I’ve listed a few items, without much luck. Honestly, at this point, I am considering donating the items just to get them out of my house so I can de-clutter. I included the $.50 more as a joke this month, because one day on twitter, I had mentioned that I found two stray carts in the Aldi parking lot. I returned the cards and pocketed the two quarters. Talk about extra income! Is returning two carts from Aldi's parking lot and taking the two quarters considered #SideHustle income? Asking for a friend…. Lanny: $44.40, total of $779.31 since tracking on the blog! Bert: $47.07, total of $588.07 since tracking on the blog! 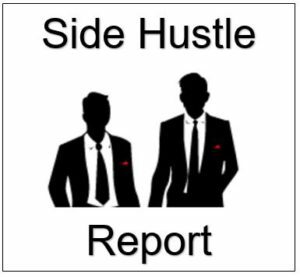 Diplomats May Side Hustle Total: $91.47, Cumulative Total of $1,367.37 since tracking on the blog! This entry was posted in Monthly Summary and tagged ebates, ebay, Financial freedom, Ibotta, side hustle income, Swagbucks. Bookmark the permalink. 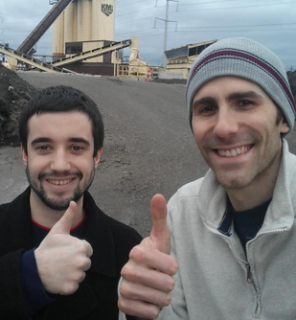 ← May Dividend Income from YOU the Bloggers! Congrats on the side income this month guys, and good job beating Lanny this month Bert. I realize that I don’t do a lot of shopping online to earn side hustles in the way you do and most of my spending comes from eating out every day. However, I’ve been thinking more and more about doing Uber. It’s not as passive, and it’s more of a second job, but it’s something that can be done in my spare time, whenever I want to. So, in a way, it’s kind of a side hustle if I decide to do it. I won’t have a car until July/August, but it’s something I will definitely look forward to doing! Thanks for the inspiration as always guys and keep it up. Thanks Dividend Portfolio!! I’ll take it, I don’t beat Lanny too frequently haha Uber is interesting and I’ve always thought about adding it as a side hustle. Did you ever read MMM’s post about Uber and his experience? I thought it was pretty interesting and it put the brakes on my desire to become a ridesharer for a little. You’ll have to share your experience with us though and let us know what you think of the App! Haven’t read the article, but I’ll check it out. I always start my eBay auctions at 1 cent with free shipping to the continental U.S. Sometimes that backfires as I have lost money once I pay for shipping, but at least I always get rid of the item that way! Interesting tip Brian! I may start doing that if certain items don’t sell after a few auctions. I’m ready to let the market dictate what the final price should be rather than me starting the price off about MV.